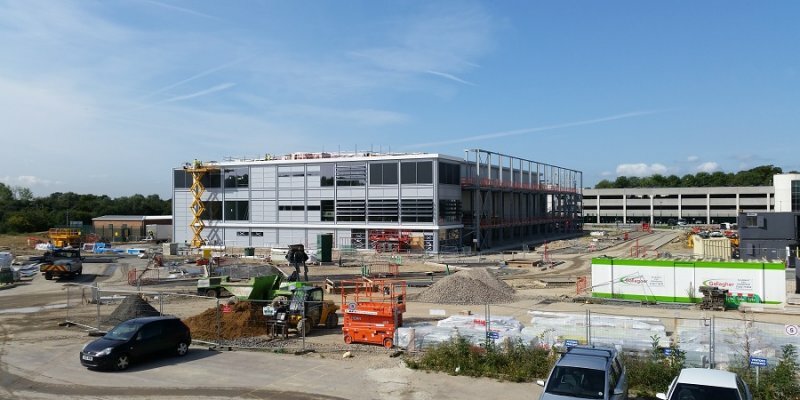 Colo-X is pleased to have been the first agent to bring a prospective customer to the new Kao Data Park data centre complex in Harlow, Essex, with the trip completed just before the August Bank Holiday. Whilst Colo-X attends numerous data centre visits every month, it is always a pleasure to visit a new facility and new operator for the first time; even better of course to do so with a prospective and possibly quite meaningful customer! 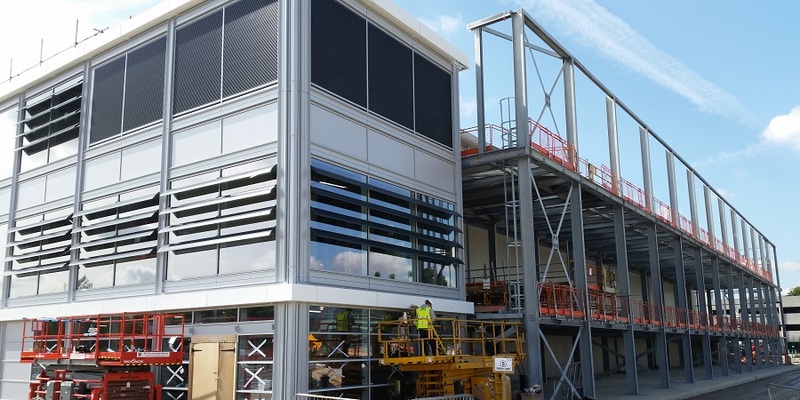 Whilst the first 2.2MW data hall won’t open until the end of this year, this 36MW data centre campus is clearly going to be an impressive new addition to the London data centre market. Indeed with the London wholesale market rushing to cope with the surge in demand from the large hyper-scale cloud providers over the past two years, Kao Data Park will be a welcome and significant new source of supply as our analysis below explains. The campus is planned to offer four data centre buildings of three floors, each offering four halls of 2.2MW and each hall being supported by its own dedicated mechanical and electrical infrastructure, so allowing customisation for large customers. 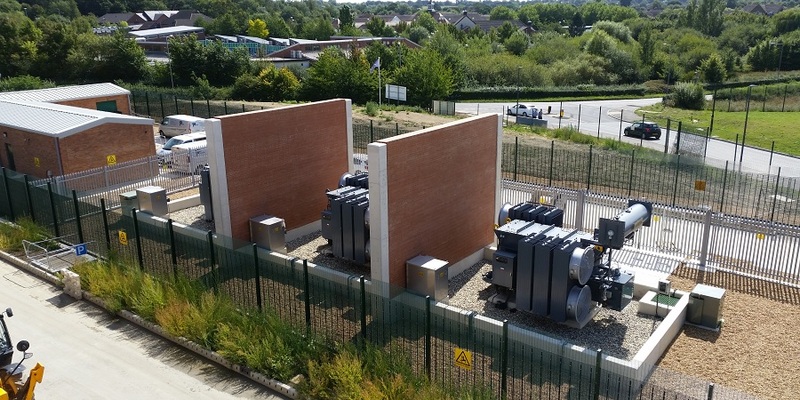 The three dedicated site transformers are now energised and underpin the three power strings available across the site, with all data halls being designed around three independent energy centres, A, B and C.
Although the facility and campus are new, the team behind Kao Park are all familiar to Colo-X. Our customer tour was expertly guided by Paul Finch, CTO and Scott Newcombe, Sales Director, both formerly with DRT here in London. CEO Jan Daan Luycks is also a long standing Colo-X partner, originally from Interxion and then CE Colo in Eastern Europe. An experienced team well placed to guide the new operator as it comes to market. Next door to the data park there is 250,000 sq ft of office accommodation based around the former Nortel Telecommunications site and appropriately enough, this was the birth place in 1966 of fibre-optic based communications led by Sir Charles Kao, whose name is now synonymous with the site. Tenants in the offices include Raytheon, Arrow Electronics and Pearson Group. Both the office complex and data park sit within the Harlow Enterprise Zone, so offering relief from business rates – probably more a factor for large wholesale customers and office tenants then retail colocation customers, but a useful benefit none the less. A new science park, leveraging on Harlow’s proximity to Cambridge is also planned on 25 acres of land in the same enterprise zone. In terms of location, Colo-X can confirm the journey from London Liverpool Street was only 30 minutes on the Stanstead Express and the taxi from Harlow Town station 10 minutes, so making Kao Data Park an easy M25 data centre location to reach from the City. The site is located just off of the M11 motorway and only 15 minutes from London’s Stanstead Airport. 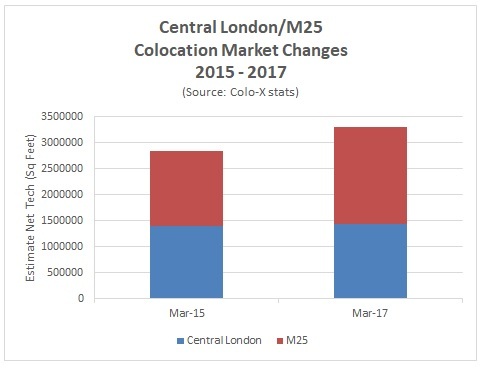 The Colo-X 2017 Report on the London colocation market illustrates the significant changes that have taken place in the London market since the Equinix take-over of Telecity (which closed in late 2015) and the recent mammoth take up of capacity by the hyper-scale cloud providers. Yet new entrants such as Kao Data Park continue to arrive and underpin London’s place as the pre-eminent and crucially in our belief, the most diversified data centre market in Europe. After all, despite the massive industry consolidation that we have seen across Europe, the broad breadth of suppliers that we are now working with at Colo-X in the London market means there is a wide range of customer options, both in terms of supplier and location choice, a factor which keeps London one of the most competitively priced markets in Europe (a trend further enhanced by the recent weakness in Sterling). The Colo-X data base in our report now covers over 60 carrier neutral data centres for example. Our research also highlights that over 90% of all new data centre capacity in London over the past three years has been delivered in the M25 market, so finally shifting the London data centre market away from its historic Docklands base, with the City and Docklands now accounting for only 44% of the London market overall. Other new entrants such as Gyron/NTT , Virtus, Infinity and Ark have contributed to this trend, all of whom now offer huge new facilities around London’s M25 orbital motorway. The Kao Park site will add nearly 10% of new supply to our estimate of 300MW in the M25 market, so representing significant new capacity. For the retail colocation market in the M25 Equinix have of course established their three (and soon to be four) facilities on the Slough Trading Estate to the West of London along the M4 motorway, but the half million square feet of capacity available from Equinix is nearly matched by the 16 or so independent new entrants now available, a list which includes operators such as Pulsant, Datum or Everest. Again, each of these facilities is listed in the Colo-X report and full details of the report can be found via this link. To discuss Kao Data Park, the London colocation market or Colo-X’s written research please contact Colo-X directly.